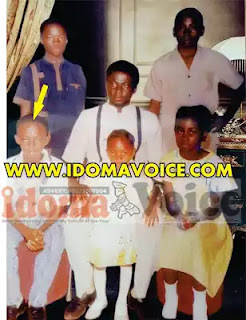 While speaking in an exclusive interview with Idoma Voice, in his country home in Otukpo Nobi, Otukpo LGA of Benue state, Chief Agbo Ella, opened up on the transformation of his former son, Clifford Oche, now Miss SaHHara Henson, a daughter. 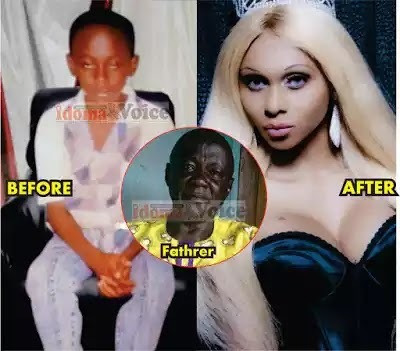 According to the explosive report, the famous trangender who was born to the family of in the dusty Benue town and was raised in the capital city of Abuja, after two failed suicide attempts, escaped to London many years ago where he has since been living as a woman. SaHHara who is one of the first known Nigerian transgenders, and a former Miss International Queen 2011, continues to face public condemnation. The most scathing attack happened in 2013, when she inadvertently stirred the hornet’s nest by speaking about how happier she is now that her dream of becoming a woman was achieved. While speaking in the interview, the former lecturer, said that he is proud of the daughter, who was once his son and would welcome her with open arms if she chooses to return home. He denied ever disowning Clifford Oche, now Miss Sahhara, stressing that he would gladly accept bride price from any man who is willing to take his daughter to altar. “Provided they can live together, why not? I will accept,” he said when asked by Idoma TV host, Naomi Oboyi.